Expand view Topic review: [Invasion] Shadowmaker - Released! Re: [Invasion] Shadowmaker - Released! Shadowmaker is now available on /idgames archive! Special thanks to everyone for testing this map out and providing feedback! Also a special shout out to Shane Strife for making an awesome music collection, you can check out Shane's stuff here! [i]Shadowmaker[/i] is now available on [url=https://www.doomworld.com/idgames/levels/doom2/Ports/s-u/shdwmkr]/idgames[/url] archive! Special thanks to everyone for testing this map out and providing feedback! Also a special shout out to [i]Shane Strife[/i] for making an awesome music collection, you can check out Shane's stuff [url=http://forum.zdoom.org/viewtopic.php?p=472461#p472461]here[/url]! I couldn't focus on my studies all day, I am just that excited! Also, Shadowmaker is now using the new Creative Commons license as provided by /idgames. Also, Shadowmaker is now using the new [i]Creative Commons[/i] license as provided by [url=https://www.doomworld.com/vb/wads-mods/90566-idgames-database-txt-generator-now-uses-creative-commons-licensing/]/idgames[/url]. A new version is now available which is merely a work around with a known Zandronum bug: Invasion Spawner fails if sector height changes. If no one can find any issues with this version, I will push this project into the release phase. A new version is now available which is merely a work around with a known [i]Zandronum[/i] bug: [url=https://zandronum.com/tracker/view.php?id=2781][b]Invasion Spawner fails if sector height changes[/b][/url]. If no one can find any issues with this version, I will push this project into the release phase. I dunno, I'd release a single version and request that Zandronum users simply run the map in coop - GZDoom scripts and all. Zandronum does not innately have the Skulltag actors anymore (hence the optional skulltag_actors.pk3 inclusion) so anything that runs without errors on whatever version of ZDoom that Zandronum was based on, should run fine in Zandronum too. And I think you can be pretty sure that the Stronghold scripts are vetted for Zandronum's net capabilities as Stronghold was specifically targeting both GZDoom and Skulltag at the time of its release. Even had both Carnevil and Torr helping with the project. Eruanna wrote: As a side note, you could probably ask around with the former Stronghold devs and see who wrote the Skulltag-like invasion scripts. Barring permission, of course, I don't see any reason why you can't take advantage of what's already there and put it in your map - then you have more control over how the invasion spawner works, and you also have GZDoom compatibility right out the door. This is honestly a good idea - I never thought of that before. I'll have to check that out, if the development cost is minimal and I am able to use that functionality - I just might do that. I am unsure how I can wiggle between Zandronum version and the GZDoom version; perhaps have the SkullTag version available just for the Invasion project, but release the GZDoom version on to /idgames? I'll have to ponder more about this, as with that very idea - there's going to be two versions of the same map but for different source ports. Eruanna wrote: Laggy - I am guessing because it is Zandronum, and not GZDoom. Nothing much you can do about it at this point. 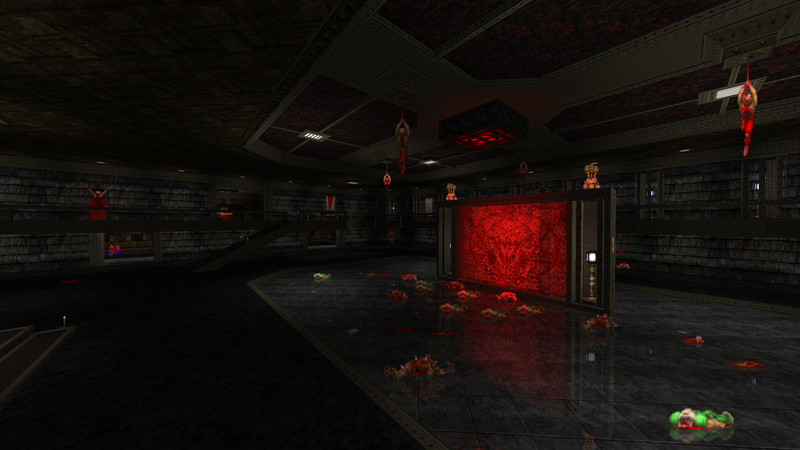 I did make the map using GZDoom 2.x as base and seemed to run perfectly fine for me. By chance, does the map run fine for you using the latest GZDoom build (either dev or stable)? Addressing this particularly is not going to be easy and I probably wont be able to address it due to a time-restriction. But, assuming that its the renderer used in the Zandronum engine, then I'll just classify it as a Zandronum issue and let-it-be as it'll be improved in the later versions such as and maybe Zandronum 4.0. Yeah, my frame rate is a whole lot better on GZDoom 2.x. Still notice some drops in some areas, still a lot smoother. Although not having to process AI from hundreds of monsters may factor into this. As a side note, you could probably ask around with the former Stronghold devs and see who wrote the Skulltag-like invasion scripts. Barring permission, of course, I don't see any reason why you can't take advantage of what's already there and put it in your map - then you have more control over how the invasion spawner works, and you also have GZDoom compatibility right out the door. Eruanna wrote: Glitchy - monsters keep getting stuck outside the playable area, particularly flyers (cacodemons, lost souls, etc). While this in of itself is not a "glitch" per se, it seems like they can get stuck permanently somewhere, to the point of the map being stuck (and unplayable). Do you know particularly where or what? I have restricted a piece of the map that could potentially cause that could cause that issue, but that was included in the first release - and what you just played. I have noticed that monsters that are killed on-top of a 3D Floor will get stuck within the 3D Floor if resurrected by an Archvile. This issue happens predominately at the lighthouse below the hand-rails. I am unsure if this is a Zandronum issue or ZDoom? Also, do note that on the seventh (final) wave, you can never finish the map due to this bug: Invasion Spawner fails if sector height changes. Maybe this is what caused the issue you were explaining? Yeah, that seems to be what caused my problem. 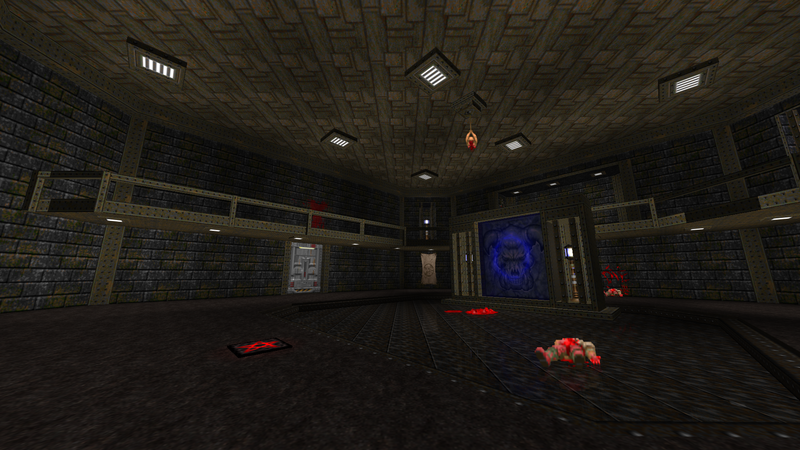 I did make the map using GZDoom 2.x as base and seemed to run perfectly fine for me. By chance, does the map run fine for you using the latest GZDoom build (either dev or stable)? Addressing this particularly is not going to be easy and I probably wont be able to address it due to a time-restriction. But, assuming that its the renderer used in the Zandronum engine, then I'll just classify it as a Zandronum issue and let-it-be as it'll be improved in the later versions such as and maybe [i]Zandronum 4.0[/i]. Also, do note that on the seventh (final) wave, you can never finish the map due to this bug: [url=https://zandronum.com/tracker/view.php?id=2781]Invasion Spawner fails if sector height changes[/url]. Maybe this is what caused the issue you were explaining? Well - gave it a try. It is quite a beautiful map (almost to be expected from you, at this point ) - however it is also very laggy and glitchy. Laggy - I am guessing because it is Zandronum, and not GZDoom. Nothing much you can do about it at this point. Zandronum uses very old GZDoom rendering code, from before the code refactor. Both Zandronum and GZDoom hate drawing lots of line segments at any particular viewpoint, though, and the transparent sprites don't help your case much. If there's a way to reduce the number of line segments without killing your detail, though, I think it will improve things quite a lot. Glitchy - monsters keep getting stuck outside the playable area, particularly flyers (cacodemons, lost souls, etc). While this in of itself is not a "glitch" per se, it seems like they can get stuck permanently somewhere, to the point of the map being stuck (and unplayable). I don't really know what causes this and I haven't used Zandronum enough lately to understand what's going on inside like I used to. Maybe I might suggest at least not using pain elementals at all, unless they are completely restricted to the playable area? It is quite a beautiful map (almost to be expected from you, at this point ;)) - however it is also very laggy and glitchy. A new version of Shadowmaker is now available, though this is a minor update. A new version of [i]Shadowmaker[/i] is now available, though this is a minor update. Shadowmaker contains one map and utilizes Zandronum's Invasion game mode. 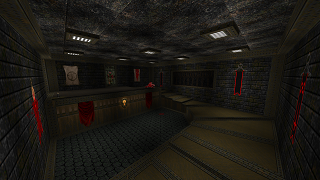 This small project utilizes some of TGRDM3's aesthetics, with that said - this map will require the OpenGL renderer provided in the GZDoom engine. With that said, Dynamic Lights are recommended to be used, but not completely required. If incase Dynamic Lights is disabled in the player's settings, the 'Light FallBack Mode' will automatically execute - which will illuminate the entire map. 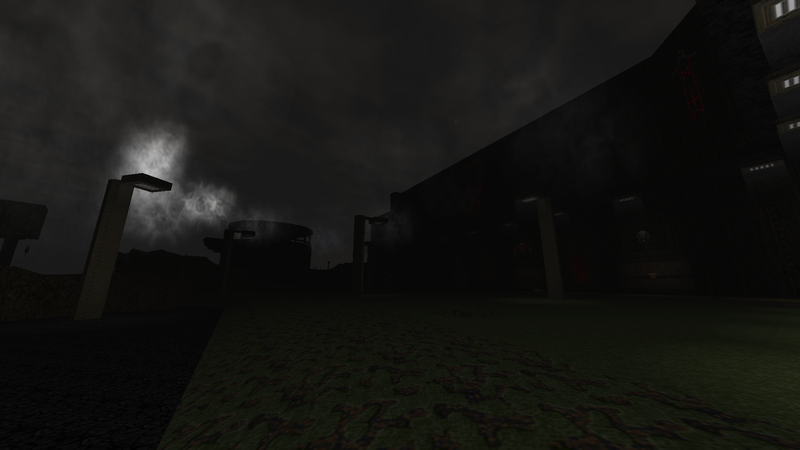 Without this feature, the map will simply be too dark and unplayable, but keep in mind that this map is intended to be played with Dynamic lights. Furthermore, this small project utilizes Shane Strife's. Through out some of the waves, the music track will change to another song automatically -- providing a new feel of the incoming waves without being bored with the same-ol' feeling. In addition, this is a submission to the Zandronum Community's invasion project, Invasion Unleashed - Evil Within. Unsure if this will actually be part of the project or not. 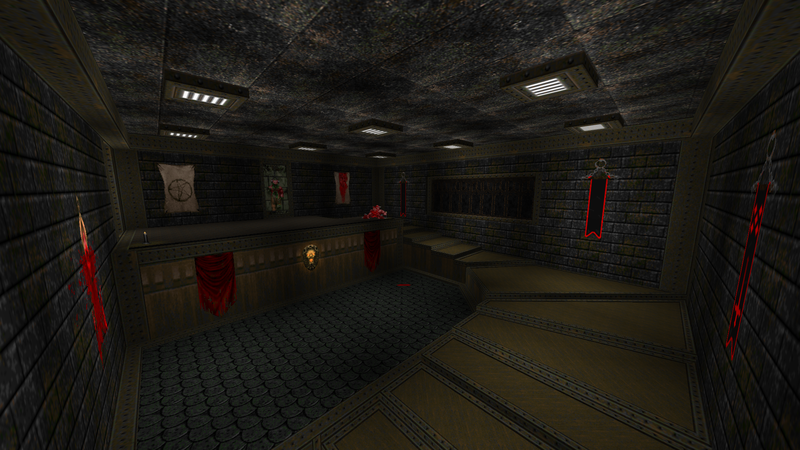 Technically, this map is finished - but waiting on a few issues to be corrected in the Zandronum 3.0 [Beta] engine. [b][url=https://youtu.be/MtUU5AP4XZg]Shadowmaker[/url][/b] contains one map and utilizes [i]Zandronum[/i]'s [url=http://wiki.zandronum.com/Game_Modes#Invasion]Invasion[/url] game mode. This small project utilizes some of [url=http://forum.drdteam.org/viewtopic.php?p=57962#p57962]TGRDM3[/url]'s aesthetics, with that said - this map will require the OpenGL renderer provided in the GZDoom engine. With that said, Dynamic Lights are recommended to be used, but not completely required. If incase Dynamic Lights is disabled in the player's settings, the '[url=https://github.com/SibTiger/TGRDM3/wiki/Special-Features#light-fallback-mode]Light FallBack Mode[/url]' will automatically execute - which will illuminate the entire map. Without this feature, the map will simply be too dark and unplayable, but keep in mind that this map is intended to be played with Dynamic lights. Furthermore, this small project utilizes [url=http://forum.zdoom.org/viewtopic.php?p=472461#p472461]Shane Strife[/url]'s. Through out some of the waves, the music track will change to another song automatically -- providing a new feel of the incoming waves without being bored with the same-ol' feeling. In addition, this is a submission to the Zandronum Community's invasion project, [url=https://zandronum.com/forum/viewtopic.php?p=43155#p43155]Invasion Unleashed - Evil Within[/url]. Unsure if this will actually be part of the project or not.